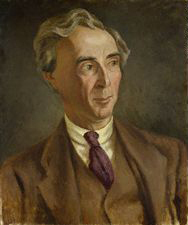 The Bertrand Russell Society awards two prizes annually for the best new papers by an undergraduate or graduate student. Prize-winners present their papers at the Society’s annual meeting, receive $200, free registration, lodging and banquet at the annual meeting, and a complimentary first-year membership in the Russell Society. Papers can be on any aspect of Russell’s life, work, or influence. They must be suitable for presentation to a general audience, and should be designed for a presentation of 20 minutes (8 to 10 double-spaced pages of text). To submit a paper, send a complete or nearly complete copy, not an abstract, to BRS president Tim Madigan (tmadigan@rochester.rr.com). State that you would, if chosen, attend the BRS annual meeting. Those who have previously appeared on an annual meeting program are not eligible. The deadline to submit entries for this year's annual meeting (to be held at McMaster University, Hamilton, Ontario, June 22-24) is past, but it is not too early to start planning for next year's (2019) meeting, which will be held at the University of Windsor, in Windsor, Ontario, Canada. Beginning in 1993, these prizes replaced the Society’s Doctoral and Masters Grants. This paper was subsequently published in Russell 15.1 (1995), 53-63. This was from Stefan’s thesis, later published as In Quest of Certainty: Bertrand Russell’s Search for Certainty in Religion and Mathematics up to The Principles of Mathematics (1903) (Stockholm, 1994). Chair of Program: John R. Lenz (1993-1995, 1999); John Shosky (1996-98); Alan Schwerin (2000-). Committee Members: Elizabeth R. Eames (1993-? ), Marvin Kohl (1993-95), John Lenz (1993-), Tim Madigan (1993-? ), John Shosky (1993-98).